Thanks for buying from us. Very Kind of you. 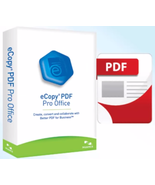 Hello and thank you for purchasing eCopy PDF Pro Office from 5thNK.com LLC. 5thNK.com LLC is the world leader in selling, e-delivery, and training on the eCopy brand by Nuance. YES you purchased through www.eCopySoftware.com. Your credit card will reflect 5thNK.com LLC our parent company; thanks! Please uninstall the trial 1st prior to installing of the actual software, as the trial can really muck things up. Once the trial has been uninstalled from the machine in question, turn it off and back on. When you download the software save to folder. Do not run. Once downloaded and saved into a folder you will need to extract the file prior to running the actual executable for installation. When installing an activation prompt will present. When this happens, use the Product key we sent you to type in or paste in. You may have to use an old DOS command to paste... Ctrl + V on your keyboard. The key will populate across the boxes. program's autorun.exe file. Select a language for installation. The Install Shield® Wizard will appear. 2. License and Serial Number You must accept the license agreement in order to proceed. You must enter a serial number. This is a Google link shared out from Google drive.